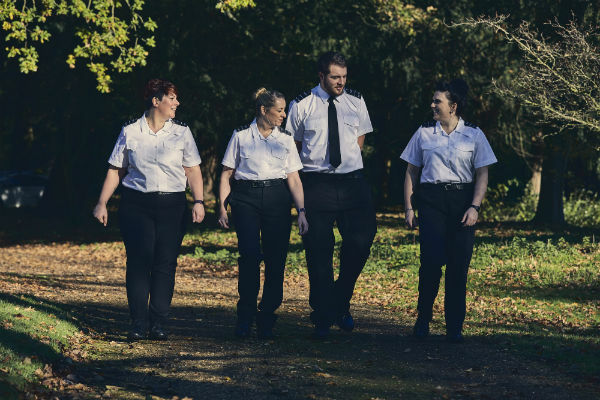 Before any prison officer is ready to start their new career in the prison service, they receive Prison Officer Entry Level Training (POELT) to prepare them for the job ahead. This blog post will provide you with an overview of the POELT, what to expect, and my own personal tips on how to make the most of the training. I’m Dave, and I started out as a prison officer. By working through the ranks, developing my career, I’m now the Delivery and Development Co-ordinator at HMP Newbold Revel – the prison service’s largest prison officer learning centre. So, I have extensive knowledge in both being a prison officer and in training them. Altogether, the POELT is a 12-week programme that equips new officers with the skills and knowledge needed to begin their careers working in the prison service and rehabilitate offenders. Currently, it starts with an induction week at the prison you’ve applied to, followed by a 10-week intensive training course at one of our 40 learning centres across England and Wales, and ends with a consolidation week back at your prison. 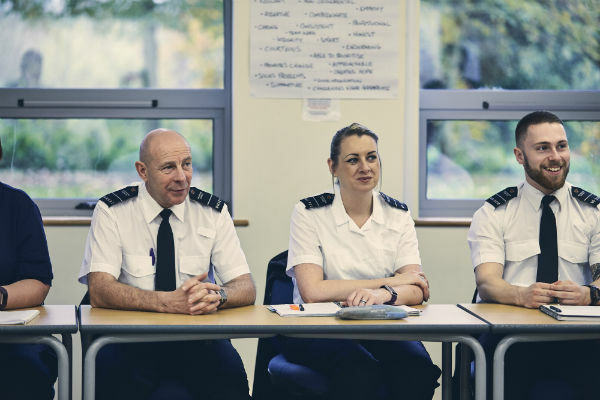 At your induction, you’ll get an overview of working life in a prison and an understanding of the different complexities behind the prison officer role and areas of responsibility. For example, you’ll see the variety of departments that make up a prison, such as healthcare, chaplaincy, the gym, the library and more! There will be no assessments and you won’t be responsible for any offenders during your induction. Most importantly, you’ll also be introduced to both your line manager and mentor, who will be your first points of contact for any support you need during your first year of probation. This gives us a chance to get to know you and any initial areas of concern you may have that we can help with. You’ll then attend your 10-week training. This is so you can contextualise and prepare for the environment you’ll eventually be working in. Finally, you’ll attend your consolidation week at your prison for your last week of training. Prisons vary from one another so this is a great chance for you, with support from your mentor and line manager, to put into practice what you’ve learnt from your course. This is also an opportunity to see if you need any extra training or guidance. This will typically be the first time you work directly with offenders, but you’ll always be supervised and supported by experienced members of staff before ‘going live’ as a fully trained prison officer. You’ll get the tools and confidence to be a professional prison officer. We provide a variety of ways for you to learn: from classrooms to team-building exercises, from lectures to hands-on problem-solving. You’ll also have individual assessments and group projects throughout the training to make sure you’re reaching the required standard. The training has a very inclusive environment, centred around teamwork and collaborative working. So, it's also a great time to make some friends and bond with fellow officers from different prisons. Another important part of the 10-week course is ensuring you get the support you need in preparation for your new career. All our prison officer trainers are qualified, skilled, and experienced to deliver the training and they work closely with your personal mentors. The 10-week training course is intensive but we split it into bitesize chunks. We start simply with giving an overview of how a prison works, what life as a prison officer is like, and what to expect in your role. Throughout the course, the training focuses on giving you the skills and knowledge to create a rehabilitative environment for the people in our care. Ultimately, your role as a prison officer is to help provide the tools and opportunities for offenders to lead law-abiding, successful lives and to cut down reoffending. So, you’ll learn de-escalation tactics, how to deal with confrontation and strengthen your interpersonal skills. Communication is vital in being a prison officer. You’ll be trained in being keyworkers for prisoners: to be mentors and guides. This includes understanding how you behave and how you are perceived as an officer. We use lots of techniques on understanding human behaviour, with the view to rehabilitate, and understand the problems and challenges people have, to allow us to influence others and change people’s lives. You’re assessed throughout the training, and our assessors evaluate your performance through day-to-day observation, feedback and project work. We’ll also give you the skills and confidence to present both individually and as a group. When it comes to grading, we don’t use the word ‘fail’. If you find something challenging, we’ll work with you to help you overcome it. After the 12 weeks have been completed, you come away from the POELT with a Level 3 diploma in the management and care of individuals in the custodial environment. You’ll also gain a first aid qualification, and a certificate in food hygiene. You can use these qualifications as a platform to help you specialise or get promoted within the prison service. One of my personal highlights running these training sessions is seeing how much people learn about themselves. I love seeing how new prison officers mature collectively as a group and as individuals through this process. They really grow professionally and often develop a renewed perspective on life, based on the work we cover on a vast and often challenging range of topics. The training provides a genuinely positive experience. To find out more information about prison and probation jobs, visit our recruitment website. Is there any compensation while doing the POELT? Hi Kim, thanks for your question. You get paid the full prison officer salary whilst on the Prison Officer Entry Level Training, and this includes London weighting for relevant prisons. If you then pass your POELT, do u go straight into a position ? If you can’t b offered a job at your chosen prison do you then have to wait for a vacancy and then you will be unpaid until you take a position ? You’ll actually start at your chosen prison before your 10-week POELT course starts. Please refer to this blog post as it provides more information. Once you pass, you’ll go straight into your shift pattern as a prison officer. Please could you advise the training hours for hmp Berwyn I’m due to start my training in Nov ! It’s 16 weeks not 12 ! Do you know what we do different to all the 12 week ones ? We are also having - 2 week anual leave out in , is this normal ? HMP Berwyn POELT course is a little longer as it covers off some additional content specific to Berwyn. Please call HMP Berwyn and ask for the People Hub or speak to your POELT mentor as they’ll be able to run through why the course is different. Hi Emily, I've passed the online assessment and the RAD. But my chosen prison is no longer advertising posts. Is this usual? Can I transfer to an alternative prison without having to start the entire application process again? Recruitment campaigns open and close regularly to ensure we're always recruiting prison officers. If you'd like to apply to another prison, you'd need to start a new application and pass the online tests again. Once you do pass the online tests, you can then request to transfer your successful RAD results over to the new application but you can only take forward 1 application at a time. In other words, if you transfer your application to a new prison this means you've withdrawn your application from the original prison you applied to. I live in Hemel Hempstead, Hertfordshire. Where would the closest POELT centre be? Also, can you visit home at weekends? Thank you. Thanks for your comment. 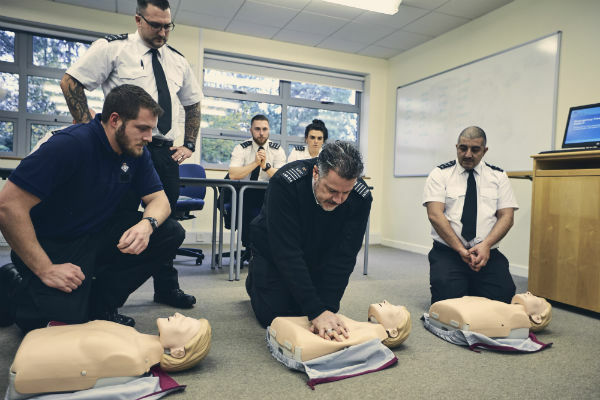 Whilst we have multiple training venues around the country to make training as convenient for people as possible, we have to allocate people to the spaces we have available. But, we will always try to take into consideration where you live, the prison you have applied to, and your personal circumstances. If you are placed a bit further from home then we arrange accommodation for you Monday - Friday and you're back home at weekends. Hi I’m currently going through vetting and I’m awear this can take up to 12 weeks. My concern is I completed my RAD August 2017 and by the time vetting is complete and I give my notice into work it’s very possible that I will be running into August. What will this mean for me? Thank you. Thanks for your query. You shouldn't need to worry; you only need to have been offered a job within the 12 months for your RAD accreditation to remain valid - you don’t need to actually be in post within the 12 months. Therefore, the time it takes for vetting to complete won't impact your RAD accreditation. Hi Sean, thank you for your question. The POELT course will be residential only if we have had to place you in a training centre a bit further from home. If this is the case, we will arrange accommodation for you during the 10 weeks, but you go home at weekends. If you are allocated to a training location that's close to home then you can commute in throughout the 10-week course. We have to allocate people to the spaces we have available, but we will always try to take into consideration your location, the prison you have applied to, and your personal circumstances. I attended my RAD training 9 weeks ago, was offered a provisional job offer at Rochester Prison, awaiting to hear more, as I’m still in the vetting process. How long does it usually take to start the POELT? Also where would the training centre be? I live in Kent. Congratulations on your provisional job offer! After passing your RAD, vetting on average takes around 12 weeks and once that is complete you'll be invited to attend your POELT. You can then start your training as soon as a place is available. For your POELT training, we use multiple training venues around the country and we allocate people to our available spaces, which means you may not be at the training centre that’s closest to you. We always try to take into consideration where you live, the prison you have applied to, and your personal circumstances. If you are placed a bit further from home then we arrange accommodation for you Monday to Friday, and you're back home at weekends. Whilst on POELT training do you get bank holidays off? I'm very sorry for my delayed response. Prison Officers are expected to attend all classes during their POELT, some of which may fall on Bank holidays. This is because prisons need to be staffed every day, including bank holidays. I’m due to start my POELT in a couple of weeks time. I was just wondering what day of the month we would get paid. Is it the last working day of the month or a specific date each month? I'm afraid as blog moderators we don't hold this information. Once you start your role you could ask your assigned mentor as they are more likely to know. Hope to see you there as that's where I've applied to as well. Just got through my vetting and waiting for the Next stage. Looking forward to it. Hi.Do you have any POELT training courses that are in Yorkshire? Yes, we have training centres across England and Wales. I have applied for Prison Officer at HMP Deerbolt and I have my Assessment next week at Manchester. Where would the closest POELT training be from Durham? Hello I will be starting my training in March. I was wondering if it is possible to claim mileage expenses to and from your place of training? I'm very sorry for the delay in my response - I was finding out the answer for you. Yes, it is possible to claim travel expenses. Please refer to your prison to find out further details, as it differs for each prison. Does anyone ever fail the exams on Poelt training ? Apologies for the delay in my response. When it comes to grading, we don't use the word 'fail' - if you find something challenging, we’ll work with you to help you overcome it. However, all prison officer trainees do need to meet the standard requirement. The POELT course is run on a pass and refer back basis, where if you do not meet the required standard, the training centre will refer you back to your establishment (your chosen prison). The prison you've applied to will then look at your case, and make a decision whether or not to put you back onto another training course. Yes there will be written and practical assessments during the training. You'd might like to refer to the 'Assessment' section of this blog post to find out some more information. Sorry for the delay in my response. There are writing assessments during the POELT, but when it comes to grading at the end, we don't use the word 'fail'. The POELT course is run on a 'pass' and 'refer back' basis. If you do not meet the required standard, the training centre will refer you back to your establishment (your chosen prison). The prison you've applied to will then look at your case, and make a decision whether or not to put you back onto another training course. Hi, I currently have an application going through and was hoping someone could tell me the training hours at Newbold? Im hoping to do non residential as I have a 4 year old and my husband does early starts. My travel time would be approx 1 hour each morning so I will need to look into early hours childcare. Can anyone help me on this question please? This is to allow sufficient travelling time to and from the learning centre at the beginning and end of each week. We have been told Monday training now begins at 1pm rather than 10am? Training may vary depending on the individual prison. So, please go by the information you’ve been provided for your training. I've managed to pass everything and by phoning up found out on 2nd February 2018 that an email has been sent to my chosen prison. How long on average will I need to wait until they phone me? Do they wait until there is space on the next training course? From start when I filled in the application form it's taken me so far since October to get this far. Once you've passed your Recruitment Assessment Day, vetting on average can take around 12 weeks. Once your vetting is complete, you'll be invited to attend your POELT and you can then start your training as soon as a place is available. The average time it takes from submitting your application to becoming a fully trained officer, can be around 9 months. We know that’s not short, which is why we’ve created this blog to help keep you informed during your journey to becoming an officer. We use multiple training venues around the country and we allocate people to the spaces we have available, which means you may not be at the training centre that’s closest to you. We do always try to take into consideration where you live, the prison you have applied to, and your personal circumstances. If you are placed a bit further from home then we provide accommodation for you Monday to Friday, and you're back home at weekends. I'm afraid I'm not going to be able to discuss specific details about your POELT arrangements on this public blog - but I'd say the best thing would be for you to get in touch with whoever you've been liaising with to arrange your POELT, or contact the prison you've applied to. I start the same date as you, I am also going to be residential, did you have to apply for a room or anything or is that already sorted for us? Hi. I currently have a provisional offer at HMP Nottingham & whatton, vetting in process. My online application now says they will contact me shortly with the next stage of the recruitment process. Does this mean I have passed vetting? You'll be able to tell if you've passed vetting by logging into the online applicant portal and seeing if your status has been updated to say that your pre-employment checks have been successfully completed. I am in a similar position in which I attended RAD on 06/March and given a provisional offer 08/March commencing the whole vetting process straight away. I am now in a position in which my DBS was returned 23/03 and I have not had any updates since. On the application centre it advises they will be in contact shortly but I am unsure what/where this 'portal' is that keeps being referenced to track the progress. I understand it is a long process however I had to make my employer aware that they may be approached for a reference over a month ago [noticed wasn't handed in as advised] but, now I am sort of at a standstill. Is there anyway to get any sort of updates? Thank you for your query, I’m sorry to hear of the difficulties you’ve had. Please contact the prison you’ve applied to and ask for the Vetting Contact Point (VCP) or the People Hub, they should be able to help you with this. The application centre is also known as the applicant portal, which is where you originally applied and receive communications from HMPPS: https://justicejobs.tal.net/candidate. Are travel expenses covered if travelling to and fro home in order to attend an allocated training centre eg my prison will be HMP Huntercombe but I will attend POELT at HMPS College Newbold Revel? Yes, it is possible to claim back travelling expenses. Please refer to your prison for further details as the policy is different for each prison. I'm currently waiting on my vetting. I've been told by Shared Services to contact my Vetting Contact Point (VCP) of where I took my RAD too find out the latest on my process. Do you know how I would get this contact number? Thanks for your query. If you have concerns about the length of time it’s taking for your vetting (pre-employment) checks to complete, you can get in touch with the vetting contact point (VCP) at the prison you’ve been allocated to. You would need to ring through the main prison number and ask to be put through to the VCP or People Hub. However, please note that the VCP will only be able to request an update if you’ve been in pre-employment checks for more than 6 weeks. Also, please note that on average, pre-employment checks can take around 12 weeks to complete. I've read your responses to questions pertaining to Vetting timescales. I was offered a re-allocation to a prison alternate to the one I applied at initially. I accepted the reallocation offer. It's been 5 weeks since that last email from SSCL and last week my countersignatory informed me that he sent off his reference as well. I imagine it will take a further few weeks for a final offer to come through, please correct me if I'm wrong. Yes it can take approximately 12 weeks for vetting to complete. If you have concerns about the length of time it’s taking for your vetting (pre-employment) checks to complete, you can get in touch with the vetting contact point (VCP) at the prison you’ve been allocated to. You would need to ring through the main prison number and ask to be put through to the VCP or People Hub. The VCP can request an update if you’ve been in pre-employment checks for more than 6 weeks. I completed my rad in May last year. Vetting finally started on the 6th Nov. I tried to ring shared services but they wont update me on my vetting. Is there anyone else I can ask? I am quite concerned that in just over 3 months my rad results will expire as they only last 12 months. If you have concerns about the length of time it’s taking for your vetting to complete, you can get in touch with the vetting contact point (VCP) at the prison you’ve been allocated to. You would need to ring through the main prison number and ask to be put through to the VCP or People Hub. The VCP can request an update as you’ve been in pre-employment checks for more than 6 weeks. do they still invite families to newbold or training centres when training is complete? Thanks for your question. This no longer happens, but instead prison officers who have passed their training are given a certificate presentation with their trainers. Hi, I start my POELT in Newbold on March 19th. I already have the NVQ L3 in custodial care and management. (I gained this whilst at a previous establishment as a PCO) Can you let me know what i should do (do I take my certificates with me to Newbold) Many Thanks. You should get in touch with your allocated prison and ask to please speak with the POELT Mentor there. The Mentor should then be able to clarify with the Learning and Development team what is required for you. I've just applied, so very early days. Just want to say thanks as your questions and comments have answered a lot of the questions i had. You are very welcome! I am happy to help. Thank you very much for your feedback, it's much appreciated. Congratulations in advance for July! Vetting can take around 12 weeks to complete. Once completed, you'll be invited to attend your POELT. You can then start your training as soon as a place is available. I've recently passed the RAD and not realised I applied for a merit scheme. It's states that no one from the merit list will be allocated until all candidates have completed the RAD or by the closing date of the assessment. How do I find out when assessments have finished for a timescale in which I may be asked. I’m afraid you won’t know when all assessments have been finished as it depends on other candidates and when vacancies arise at the prison you’ve applied to. The only information we’re able to provide is that you’ll remain on the merit list for up to 12 months. I would like to know that I live at Glasgow. Any nearest POELT Training centre from Glasgow. What are the requirements to apply for POELT Training.Do we need to pay for this training? Duration of training? Her Majesty's Prison and Probation Service (HMPPS)'s POELT training centres are across England and Wales only, as the Scottish Prison Service is run separately. You need to take a series of tests, then attend a Recruitment Assessment Day (more details on this can be found here: https://prisonjobs.blog.gov.uk/2017/12/13/how-to-prepare-for-the-rad-recruitment-assessment-day/). If you are successful and have been given a provisional offer of employment, then you are invited to attend your prison officer entry level training (POELT). Hi just filled out pre-employment Check at What point should I resign at may current job? Also they are unaware that I will be hopefully leaving soon worried that the vetting team will call them and if I don’t pass vetting I will lose my current job . We would always advise candidates not to hand in their notice with their current employer until they've received confirmation that all pre-employment checks have been completed and they've been approached to discuss a start date. We will happily work around a candidate's notice period when organising a start/training date. Just to let you know, vetting can take approximately 12 weeks to complete. I recently got my start date for Wormwood scrubs and training at Newbold Revel, I live in central London and don’t drive in the city, so I’m just wondering are travel expenses covered for trains to and from Newbold Revel? I am staying on site Monday to Friday so it’s just for travelling home at weekends. Thanks! Yes, it is possible to claim travel expenses but please refer to your prison to find out further details, as the policy differs for each prison. I have passed the RAD and been offered a conditional offer at my local prison last week, iv just completed the vetting form and health questionnaire, and now I am waiting out but I am still in the army and will not be able to start training till December will this effect my application or will the prison take this into consideration? Congratulations on your conditional offer! You'll be able to discuss your start date with your prison once all your pre-employment checks have been completed, which can roughly take 12 weeks, and you've been approached to discuss a start date. We will happily work around a candidate's notice period when organising a start/training date. It doesn't matter if you have asthma if you can pass the fitness test. However, please remember to bring any inhalers you may have if you're invited to attend a Recruitment Assessment Day (RAD). Good morning, I’ve been in the process since October it’s been an exciting couple of months, took myself a while to get a police check from Spain as I lived there for a year, my vetting started in January, however my clearance letter came through last week which I thought was very quick. On my application online it’s says “we’ll be in touch shortly to explain the next process” could you tell me what the next process could be please? Although it’s been a week I don’t want to ring and be a hassle. Congratulations on your offer! The next step after your vetting is complete is to book onto your Prison Officer Entry Level Training; you can read more about this in the blog post is above these comments. Hi John I'm in the process and seem to be in the same timescale as you. I applied in October and started my vetting in decwmber. I had the same message come up on my portal but hasn't changed yet. Have you had any change? Hello. I applied in August 2017, however it took months for my results to get passed over, I've only been in vetting for 4 weeks and my status has just changed to " we will be contact shortly to let you know the next stage of the progress"
Does this mean we passed? how did you get on? Hi Jon, I’ve been living in Spain for a few years. I already have the police check but it’s in Spanish, if I get it professionally translated will it suffice? I was given a start date in April 2018 for HMP Berwyn however I was unable to accept as I had booked annual leave in May 2018 and was told I’m not allowed to take any time off during training. Are you able to tell me when the next training for POELT starts after April? Or roughly how long does training take place after one another? Thanks for your query but I'm afraid I don't have access to that information - but please rest assured that you'll be contacted about the next POELT spaces as soon as they become available. I am waiting to hear back after my status recently changed to next step of recruitment after vetting, my concern is I get married in July if the poelt course was during this time would annual leave be considered? Congratulations for July! You aren't able to take leave during your training but when you're approached by the prison to arrange your start date they'll be happy to discuss when you start your training, to take into consideration your wedding. Most likely email but you'll need to keep an eye on your portal. Thank you. We do our employment references via the HMRC process, which involves checking your declared employment details against the HMRC system to see if you are/were paying NI and Tax during the corresponding dates. If we're not able to confirm this via this route, then we'd need to approach employers for full references. I was wondering I've just passed my RAD and am about to begin the vetting which i know may take 10 weeks but when do you suggest people hand their notice in at their current jobs if they've got to work a months notice? I recently attended a RAD which I passed. I have since been put onto a reserve list as the role attracted a lot of highly qualified applicants and I was not selected for appointment. I presume there are hundreds of people on the reserve list so I just wondered what are the chances of been selected? Is it possible to re-take the RAD before the 12months? We would always look to offer candidates on the reserve list (also known as a merit list) a job before their RAD accreditation expires after 12 months. For example, we could offer a permanent position at another establishment or a position on a temporary basis (2 years) via the First Deployment scheme. However, depending on the prison and the merit of other candidates, this may not always be possible and if we aren’t able to place a candidate within the 12 months, they'd have to re-apply. I’m afraid you wouldn't be able to re-take your RAD to ‘top-up’ the accreditation, and if it does lapse you'd need to re-apply to another job advert again. Hi Emily. I am in the same position as Holly and I have been for 2 months. I know there are vacancies at other establishments so I don't understand why I have not been contacted. Who can I speak to regarding my application? Thank you for your post. Please contact the SSCL recruitment centre on 0845 241 5358 as they will be able to assist you. Hi, can you tell me when my probation period would start and finish? Probation lasts for 12 months, and it starts on your first day. Do you have a current up to date list of POELT centres? I don't have one I'm afraid, but there are multiple POELT learning centres all across England and Wales. We place people at POELT centres based on availability, whilst also taking into consideration people's individual circumstances as much as possible. Therefore, you may or may not be placed at a POELT centre that is nearest to your home or allocated prison. I recommend exploring this blog or subscribing as we'll be adding more useful posts about working in the prison service. This blog has been very informative, thank you. I'm on week 11 of my vetting to work in a YOI and my DBS certificate has arrived. Does that mean my vetting is complete? I don't like to hassle SSCL or my prison but I'd eager to get my training started. Could you offer any insight on to what stage I'm roughly at please. If an establishment is really short staffed will vetting for an applicant to that said establishment be prioritised ? Thanks for your query. Yes, we do have processes in place to ensure that vetting is prioritised for establishments that are short staffed. I do volunteer work for the MoD and Army within the Army Cadet Force which is working with young people under 18 and having access to weapon systems, ammunition etc. I have passed the Security Clearence and Counter Terrorism Checks every 3 years. I’ve been told this can help speed up the vetting process. Is there any truth to this ? Thank you for your question. It depends on which prison establishment you’ve applied to. If you’ve applied to a Youth Estate or a High Security (Category A) prison which requires DBS or CTC checks, then yes it can help to speed things up for those checks if you’ve already had them done. You should provide details of these checks on the pre-employment onboarding forms. However, we’re not able to use these in place of the standard pre-employment checks around health, employment history and criminal convictions etc. These checks would still need to be completed, and vetting on average can take around 12 weeks. I know this has almost been answered but I have just passed all my vetting checks. And my prison is in the north east in stockton-on-tees. My rad assessment was in manchester would this be the POELT centre closest to me? Thanks for your comment. We do try to take your personal circumstances and location into account but we have to allocate people to the POELT spaces we have available. So, I'm afraid we wouldn't be able to guarantee whether or not your POELT centre will take place at the same place as your RAD centre in Manchester. Hi, I have been invited to RAD. I am aiming to be successful, but have a concern regarding POELT training. Could you tell me, that if I need to do my POELT training within travelling distance of home, this will be considered. I am concerned that if this is not the case and I am not able to stay away from home, it will jeopardise by chances, I don't want to waste anyone's time. Thank you in anticipation. Hi, I've been given a start date and my training will start on the 6/8 in newbold revel but as I live in Ware Herts where will I be put for accommodation as its a 90 minute commute otherwise. Thanks for your query - have you been offered accommodation? If so your accommodation will be on-site at Newbold Revel. Hey Luke. I also start 6/8 and I got sent an email with times on it and stating that i was staying onsite. I have just received my RAD feedback and have been offered the position! I was wondering if you were allowed to take annual leave during the POELT as i have a holiday booked for the end of August and taking into consideration the time stated for the vetting process, i believe i would be in the process of completing the training by this time. Congratulations Paige! You'll be required to attend all of your training and so you won't be able to take annual leave once your training has started. You'll need to book your training's start date at a time that doesn't clash with your holiday. Please note the training is 12 weeks long. How long does it take to be booked on a POELT? I have passed all my vetting last week. Unsure when to put my notice in at my current work place. I passed my RAD 1 Week ago I've as of yet heard nothing, When do I expect to hear something? Am I going through the vetting process already or will I be told when that starts? Hi. I've got a question. I failed online selection test for the HMP Long Lartin. After some preparation i applied for HMP Hewell (closest to were i live) and passed. Have my RAD booked for the 27th. But would like to work at HMP Long Lartin as i live in Evesham. Is there any chance to transfer my application to HMP Long Lartin? Apologies for the delay in my response - I was finding out this information for you. In order to mirror over your RAD results for one prison to another, you'll need to have passed the online test for both establishments. Therefore, if you wish you transfer your application to Long Lartin, you'll need to apply to that prison again, pass the online test, and then ask for the RAD results of your Hewell application, should you pass, to be transferred to your Long Lartin application. Im just enquiring, how long is it before you can re-apply after not being successful? There is no time limit - you can re-apply to a new vacancy as soon as you'd like. If they're having issues with your emails then yes I would phone up the establishment you've applied to and ask to be put through to their People Hub to explain your situation. Hopefully someone will be able to help you from there. do the service take on people over 50 ? We do indeed. There is no upper age limit to apply to become a prison officer. To become a prison officer you need to be at least 18 years old. Hi I was just wondering how often do they organise RAD's and if successful, how flexible are you with training as I have a holiday booked and if I pass the RAD I'm worried this would clash with training dates? Great blog and has answered a lot of questions thank you. Mine is the same, did you get any response what's the next stage is or what will happen? Good evening, the answer to my question isn’t in the above blog, hopefully you can help, it’s been 5 weeks since I’ve had confirmation of my clearance/vetting, does the process of being contacted for a training date usually take this long? I understand the length of the recruitment, my question is just based on the the time waiting from completed vetting to training. Hi I applied in June last year and finally after a very long process, my vetting completed this week and I have been booked onto training at Newbold Revel commencing 06/08. I will be residential, I know I will be there Monday-Friday and just wanted to know if it is compulsory that you return home at the weekends. Are the rooms yours for the duration or do they get used at weekends as concerned about being able to leave belongings there and don’t want to constantly take things back and forth? Yes you are home for the weekends. If you have exceptional circumstances then we may be able to look into providing weekend accommodation but we usually only provide accommodation for the training days Monday - Friday. Continuing from this post, are you able to confirm if we are allowed to leave items in the room over the weekend? Also, what happens in terms of meals? Are they all provided or are we given access to cooking facilities? You’ll need to speak to HMP Newbold Revel or the hotel, depending on where you are doing your POELT to find out if there is any storage. In terms of meals, there is a cafeteria where you can buy lunch. Accommodation should also provide basic cooking facilities but if you want to be sure for your specific residential, please speak with your mentor who you’ll meet during your first week at your allocated prison. I have already DBS check and previous CRB . I have filled my vetting application this weekend for Erlestoke HMP. Is it possible that vetting will be quicker with DBS doneness that 12 months ago? Also could you let me know which are POELT centres in South West area? I have passed my RAD and I have been advised that the prison I applied to have no current vacancies even though on the recruitment page it still shows "apply" for this particular prison. I am now on a 12 month waiting list. I have been advised I can apply to other prisons but I will have to complete the online tests again even though I have completed this and the RAD previously. I am looking at 5 other prisons in and around where I am and this means I have to do the SJT scenario tests and maths test each time for each prison. My question is can the recruitment team not make this easier for candidates who have passed all the tests to easily apply to other prisons without going through all the online tests again , where in my instance I have to do this test 5 times as I was not accepted at my choice of prison. Thank you for your feedback, as it helps us to improve. I will ensure I pass it on to the relevant person. In the meantime, I wish you the best of luck with your applications. I agree. Its a very difficult process and there appears to be no one you can speak to on the phone that can help .I am in the same position. Seconded - it would be easier if you could just link your RAD results directly through your account every time you apply. I also find it confusing that I haven't been allocated a vacancy but the application window is still open. It's as if the information on the website doesn't match what's being sent to candidates. Hi, I start my training on the 19th March. I just wondered if there will be a tv in my room at Newbold Revel? As I’ll be living there for 10 weeks. Yes, as far as I know there should be a TV in the room but I wouldn't be able to guarantee it. If you have a mentor at your establishment they may be able to help you if you have any concerns. Hi Josh, I'm sorry to hear that. Have you tried phoning SSCL to see why you're not able to log into your account any more? I have been offered a job and training will commence at the end of April. I advised at my interview that I have a holiday towards the end of May. Will there be a chance to catch up on the work I miss during the week I will be away. It would be best to choose the start date of your training so that it won't clash with your holiday. If you're not able to change your training dates and have concerns, you can speak with your mentor once you're allocated one. First I’d like to say that this thread is really helpful and informative. I have recently been told I’ve passed my RAD, so vetting is most probably in progress. I’m also away on a pre booked summer holiday so am concerned that my training will be held back. Will this limit my chances of employment, and are POELT courses done all year round? Yes POELT courses are run on a continuous basis. You're not advised to take leave during your training otherwise you'll miss important information. Vetting can take on average 12 weeks to complete and so once that's completed and you're invited to book onto your POELT, I'd advise you try and avoid picking dates that clash with your holiday. It won't limit your chances of employment once you've received a formal offer, but it may simply just delay your start date with us. I've just been given my start date for my poelt course. Are you able to tell me if there will be physical assessments aswell as written. Just so i can up my training if needs be. As long as you have passed your fitness test during your RAD, which you will have done, then you should be fine. There may be some physical elements in the training, but formal assessments are mostly in the form of written exercises and group work. This vacancy attracted a number of highly qualified applicants and after careful consideration of all of the applications we are sorry to tell you that you have not been selected for appointment. However, as you were a strong candidate we would like to keep your name on a reserve list. This list will be valid for 12 months from the date of this correspondence and if another vacancy arises for the same position we will contact you. I know that need to wait on merit list but can I apply for other prison officer job and this still will be on the merit list? Also I didn’t recive on-line health questionnaire? I thought that should recive with my RAD results? Yes you can apply to another prison in the meantime if you wish, and use your successful RAD results (so you don't need to take more than one RAD within 12 months). I'm afraid I am not sure about the online health questionnaire - have you tried phoning SSCL? No. I didn‘t. I am not sure is this pre employment checks (on-line health questionara) i should get now with this reserve list or later with vetting procces? Candidates fill out their online forms once they've been given a provisional offer. Please see the section on "Pre-Employment Checks (Vetting) - Onboarding Forms"
Hello mate. I’m in the same spot as you. Got my pass email. Logged onto my portal and had the exact message you got. I’ve applied at Lancaster Farms by the way. I phoned SSCL immediately because I was really hopeful and the message disappointed. The guy said that it’s a generic message when there is no vacancies and the one I applied for hasn’t even closed yet. So I’m hopeful that I’m currently being vetted and I’ll be recontacted when the vacancy window is closed. Fingers crossed anyway. Good luck mate. I have successfully completed my RAD at Manchester, I was under the impression that it was a formality that I would be offered a place on the POELT, but I have now been told that it is a MERIT based system and I have to wait to see what happens and if there is an actual job. When I applied for Lancaster Farms, it didn’t say this but I have noticed the Ad has now changed. I’m unsure what to do now! Any advice? Congratulations on passing your RAD. Yes, I'm afraid not all applicants are guaranteed an offer of employment after passing their RAD. You'll be placed on a merit list if the prison you've applied to has a high-level of competition or limited vacancies. The merit list orders candidates based on their performance at the RAD. We'll get in touch with you regarding any vacancies that open up at the prison you've applied to, and you'll remain on the merit list for 12 months after the date you passed your RAD. In the meantime, you could make another application to other prisons if you wish. If you pass the online test for any new application you make, you can then ask to transfer your RAD result to the new prison - you only need to successfully complete one RAD to become a prison officer (but please bear in mind the RAD results are only valid for 12 months). I applied to three prisons, passed RAD for one of them and have been given RADs for the other two. How do I ask them to transfer the result over to the other prisons? How long does it take to me booked on the POELT? You'll be able to book onto your POELT once your vetting (pre-employment checks) have been completed, and this can take around 12 weeks. We shall be in contact with you shortly to let you know the next stage of the recruitment process. It will of been 3weeks when i got this messge on my portal. Can it take a while to be booked on a POELT? Please keep an eye out for any communications from HMPPS, who will be in touch with you to discuss the next steps. In order to take the actual test you'll need to submit an application, which you can also do on the official prison and probation job website. You'll need to scroll down and click on 'Find a job'. Hi, my status recently updated approximately 10 days ago to they’ll be in touch shortly to discuss the next stage. I have a 2 week holiday booked in October as I am getting married abroad, so I was hoping I could compete my training before then. I am also relocating, so need to sort accommodation, however I do have family I can stay with. I have emailed twice and had no reply as I am concerned that it doesn’t leave long to be booked on the POELT, if not it won’t be until after October. Is there any contact number? Many thanks, Beth. Congratulations for your wedding in October! I'm sorry to hear you haven't received any responses to your email. You'll be approached by HMPPS to arrange your start date and they'll be more than happy to take into consideration your wedding. As long as you start your 12-week training by July, you should be fine. I’ve passed my RAD. I have a phone appointment with Occupational Health in the 23rd for some reason, I’ve had no further communication from the Prison or NOMS. I can’t find mention of OH in the recruitment process so I’m unsure where I am with things. Was I successfull or am I on the reserve list I’ve heard about ? I’d just like clarification of where I am. You can also log into your applicant portal to keep up to date with your application status. I’ve tried logging into the applicant portal but it tells me nothing beyond ‘status update’ but there is nothing there to view. I thought I’d been passed as fit for the job when I saw the nurse at my RAD. The occupational health is actually a two part process, so you've completed the first part - seeing a screening nurse at RAD. The second part is the occupational health questionnaire. One more question, if I’m going through pre employment as you said does that mean I have got the vacancy I applied for ? It’s been a bit helpful but I don’t know if I’m on this merit list. How do I find out if I am on it or if I’m not ? You'd be told shortly after your RAD. I am now in my 14th week of Pre Employment checks, I have phoned both the people hub of the establishment I have applied to, and SSCL, of which neither could provide me with any updates of my checks. Do you know why it could be taking so long? And once the checks are complete, how many stages are there until I will be contacted? I'm sorry to hear that. One of the most common reasons that could delay the vetting process is bringing incomplete or incorrect documentation to the RAD. Do you know if this could be the reason? You could also perhaps get in touch with the Vetting Action Team - their details would have been provided in an email to you. Hello 🙂 I received my clearance letter for vetting 6 weeks ago and my portal message said “we’ll be in touch shortly for the next recruitment stage” does it usually take 6 weeks or more for a POELT to be arranged? First I’d like to say that this thread has really been very helpful and informative. I started the whole process last year in November and have been successful during every stage. My only concern for now is that for 5 weeks now any time i log onto my portal the message has remained the same (Your application is currently being reviewed, and we will be in contact with you shortly to let you know the outcome). I want to know which stage i am currently and for how long i still need to wait? Hello. Today I recived letter for my online Health Questionnaire. Is this any sign? Second question is. I applied for another prison and I got my email to book RAD. How transfer my RAD results to this application? I applied to Whatton and this time I want apply to Stocken. This questionnaire is part of our pre-employment checks which we undertake to ensure you are fit for the job. In terms of transferring your application to another prison, you’ll need to call the recruitment contact centre on 0845 241 5358 and they’ll be able to help. If I transfer my application to second prison I still will be able to get job from first prison? No, if you transfer your RAD to a second prison then your application will be taken off the list for your first prison. So just make sure you have a think about what prison you'd want to work for. Hello, I was just wondering if you could let me know how long it takes to be reimbursed for the travelling costs to the RAD? I sent off my form a few weeks ago and still haven’t received / heard anything? Please contact the prison you've applied for to find out more as it differs for each prison. Congratulations on the job offer! If you've confirmed your job offer and returned the new starter details then yes you'll be paid at the end of the month. You should get your uniform on your first day, but if for any reason you don't there's no need to sew the pockets shut on the trousers you've got. When can I expect the next stage to come,Thanks . Hello, I would like to find out please how would I be contacted about my security clearance results? I'm Helena - a blog post moderator here. Thank you all for your questions. We're really pleased to see so much conversation on this blog post! We’ve received a lot of questions, particularly on vetting, so we’ve created a new blog post to make it easier for you to find out information on vetting all in one place. If you have a question about anything else unrelated to POELT, please explore the rest of the blog https://prisonjobs.blog.gov.uk/ or the prison officer recruitment website https://prisonandprobationjobs.gov.uk/. Hello. I was wondering how often do the POELT courses run? Is it likely that when you’re booked onto one after vetting is complete that you’re given an almost immediate start date? Very informative page also a lot of my questions have been answered. POELT forms part of the probation period, so once you receive a POELT date this will basically also be your start date. Hi, I am due to start at Newbold in a couple months but i'm wondering if accomodation is available on a Sunday evening. I live a few hours away so not looking forward to the drive down Monday morning if not! We’ve answered a similar question about the training hours of Newbold Revel here - https://prisonjobs.blog.gov.uk/2017/12/13/an-introduction-to-poelt-prison-officer-entry-level-training/#comment-34. If you’re really concerned you can speak to your prison officer mentor when you’re allocated one, as they may be able to advise you. I'm passed my RAD and I am hoping to get a conditional offer. My question is regarding vetting. What contact is made with current employers as I would be worried my current employer would let me go before a potential start date with you? Once you have passed the RAD can you change what prison you would like to work at if they are recruiting? Thanks for your question - apologies if this answer comes too late for your first day of training today, but this blog isn't monitored on bank holidays. You can wear anything you're comfortable in, as you'll be spending most of your training in your uniform, but you'd might like to also bring along something you can move around in. I am already employed as an OSG with HMPPS & passed my RAD 15 Feb 2018 will this shorten the 12 week average vetting timescale? Also from Bristol, is HMP Leyhill still being used as a training centre in 2018? I'm afraid we don't hold that information. But if you have any levels of existing security clearance please ensure that you provide details of that when asked for information. Last week I passed my Rad and had an email containing my pass marks. I am not quite sure what happens from here as my Moj has not updated and I have had no other email since. Hi Emily, I applied to HMP/YOI ISIS on a merit scheme. I passed the online tests and have my RAD on 19th April. I have noticed that a few other prisons I was interested now have positions available on a pass scheme and would like to apply for them also. Is this something I can do now and use the outcome of my currently booked RAD for all applications? You're more than welcome to apply to other prisons. I would recommend you still attend your RAD as you only need to take and pass one RAD to get your prison officer accreditation, but you can transfer your results over to another prison application. Please refer to this blog post that's specifically on the RAD for more information. Thank you for all your queries. If you have questions on the POELT please post them here. Hi , ive recently been offered a place at HMP Haverigg and im in the process of ordering my uniform. Is there somewhere i can view the uniform? As there are multiple options such as fleece or jumper and it would be helpful to view them before ordering. Congratulations on your job offer! Unfortunately there isn’t a place to view the uniform beforehand but if you take a look at the videos on our prison and probation jobs website, you’ll be able to see footage of prison officers in uniform, including jackets and jumpers: https://prisonandprobationjobs.gov.uk/. Hello , I currently awaiting for my Vetting to be completed, however I am fearful that my training may be during a holiday I booked and paid for a year previously... would I still be able to attend my holiday and then continue my training ? My application update has been referred for decision. Does that mean I am or may not get a job offer soon or are there more checks to complete after this? I’m afraid we don’t hold this information, please keep an eye on your applicant portal and emails to receive an update from HMPPS. Is that mean that all checks are complete and should receive phone call soon or it's better to call vetting team and find out? You’ll be able to tell if you’ve passed vetting by logging into the online applicant portal and seeing if your status has been updated to say that your pre-employment checks have successfully completed. You can only phone the vetting team if you have concerns about your status if you’ve been in the vetting period for more than 6 weeks. This blog is truly amazing and full of proper informations to any new person. I received a phone call today with date for course in October which is great. I can start in my establishment up to 8 weeks before so I will start from September which will help with holiday plans and my current job. I decided to go for POELT in Exeter and I will be able to travel. I have a question regarding travel...my establishment is about 30miles from my house but training will be 60miles. Is it anything in policy which will inform me about travel pay if distance is twice long than from home to establishment? If it is ...what is a rate used for calculations? Thank you for your lovely feedback. Please refer to the prison you’ve applied to as they’ll be able to provide further details on claiming expenses as it differs for each prison. There are multiple POELT learning centres all across England and Wales. We place people at POELT centres based on availability, whilst also taking into consideration people's individual circumstances as much as possible. Therefore, you may or may not be placed at a POELT centre that is nearest to your home or allocated prison. Please refer to the prison you’ve applied to, they’ll be able to provide you with further details on claiming expenses as it differs for each prison. Is it possible to change prisons at this point? Congrats on passing your RAD! You can transfer your RAD accreditation as long as you’ve passed the online test of the other prison you’re interested in. To transfer your RAD you’ll need to call the recruitment contact centre on 0845 241 5358 and they’ll be able to help you. As per this blog post - https://prisonjobs.blog.gov.uk/2018/03/22/prison-officer-vetting-101/, vetting takes on average 12 weeks but we do have processes in place to ensure that vetting is prioritised for prisons that are short staff, meaning vetting for these prisons may take a shorter period of time. Just out of interest, the job was advertised at £26,950. However the starting salary is £22,692. I understand that's probably based on 37 hours and the advert was advertised as 39 ( including allowances ) What are the allowances? and how comes the difference? Thanks for your question. Yes you’re correct: the job advert is based on someone choosing to work a 39 hour week, which is what most prison officers work. The standard contracted hours for new starters is 37 hours per week during the POELT. There’s the option to increase your hours once you’ve passed your 12-week POELT. The extra salary allowances vary from prison to prison (such as London having a London-allowance). Therefore, I would recommend finding out the Terms and Conditions of your contract once you’ve been offered a role. Best of luck for your POELT! Yes, you travel back home on Fridays and travel back in on Mondays to attend your training. In terms of your other questions, I’m afraid I don’t hold this information. If you have a mentor at your establishment they may be able to help you if you have any concerns. Hi .. I've seen lots of comments relating to RAD passes and allocation of vacancies, just curious as to how often these actually come up and the guidance on here the website says that if by the end of the 12months you don't get allocated one within your chosen locations you may be contacted about alternatives. When I spoke to SSCL they told me that wasn't the case and that you'd just lapse and have to reapply? Just conscious that the extra 2500 officers by the end of 2018 and how likely I am to fall into that category after passing my RAD. As per this blog post https://prisonjobs.blog.gov.uk/2018/03/22/prison-officer-vetting-101/, the merit list will remain open for 12 months from the date you passed your RAD. After this you’ll no longer be considered for a vacancy. If we’re unable to offer you a position at the establishment you’ve applied for by the end of this 12 month period, we may be able to offer you one at another establishment without a merit list and subject to available vacancies. The level of checks are the same throughout the prison estate, it doesn’t depend on the category. Vetting may take a shorter period of time if you already recently have had pre-employment checks completed, or if you’ve applied to a prison that’s short staffed and vetting is prioritised. I have been offered a verbal offer of employment and confirmed a start date. I was just wondering if this is final before I hand my notice in at my current job and also when do I need to order my uniform if i need to at all? I have had an email confirming the induction date and my POELT date but doesn’t mention anything of what I should wear and I don’t want to go in the wrong thing. Thanks. Yes, this is normally the final step before handing in your notice as you’ve confirmed your start date. We’ll happily work around your notice period when organising your training date. You’ll receive an email prior to starting your POELT allowing you to order your uniform. My training doesn’t start till end of July so i’ve got plenty of time to hand it in, thanks for your help! Your salary depends on the prison you’ve applied to and the location the prison is in, so I’m afraid I can’t give you the rate for a 37 hours contact. Your salary will remain the same after your probation is complete but you can opt for a 39 or 41 hours contract after you’ve finished POELT. You can also earn more if overtime is available at your prison. I start my POELT course in October, spending the first week at my chosen Prison. In my first week at my prison I get my uniform which consists of 5 shirts. I asked my prison HR where I could buy more but they couldnt help as they said their uniform comes straight from China, any tips as to where to buy more white prison officer shirts please?! 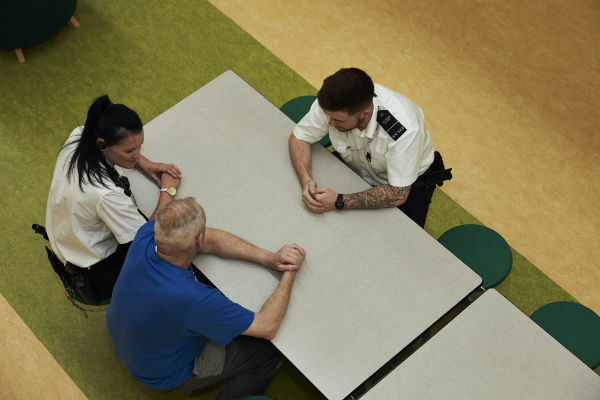 When you arrive for your POELT training, you’ll be assigned a mentor who’s a current prison officer - they should be able to help you with queries like this. Hello, I’m currently going through the vetting stage for hmp Woodhill. How stricked are they on this because with my address history I can’t remeber the exact date/ month I moved etc.. could they fail my application if I’m a month or 2 out?? No you won’t fail if you’re just slightly out, but please do try and be as close as possible if you can. hi if somebody has been allocated a training course at Norwich do they get some sort of accommodation provided Monday to Friday. And, is the training course free as somebody mentioned that you have to pay. Also, no, you don’t pay for POELT training - quite the opposite in fact. You’re paid the full standard prison officer salary whilst you undergo your training. I have RAD coming up but I have a general question regarding tattoos. I have 1 on my face above left eye. Should I attend or will I be wasting my time? Yes, in order to progress your application you should still attend your RAD. As long as your tattoos are not deemed as offensive in any way we’re not too strict on this. Thank You Helena and Emily for the invaluable information on here and I wish everyone the very best in their respective applications. My question is that I’m around that 12 weeks mark and only just last week received my DBS. Now I rang Wetherby (place I’ve applied for) and they told me only SSCL deal with matters related to vetting. Now first lady I spoke with informed me that I need to get my DBS stamped by a local organisation and then send it off to them. I was unsure so decided for peace of mind more than anything to ring again and this time another lady told me that I simply post my DBS off to SSCL. If I wasn’t confused I certainly am now so would really appreciate if one you could please clear this up. Furthermore, if you could also provide me the address and I would be very grateful. You’ll receive an email from SSCL which will clarify what action you need to take. If you’ve passed then you won’t have to do anything as they’ll pick it up from their side. If you haven’t, you’ll need to present your DBS to the prison you’ve applied to. All of this will be explained in an email depending on the outcome of your checks. Hi Helena how i can aplay for prison officer? If you find you struggle in the POELT and want to quit before the job starts do you have to pay fees back? What if you’ve completed the diploma and start work and find it too much are you signed into a minimum contract? As per this blog post, we would prefer to work with someone to help them overcome any challenges they may face rather than leave the course or their role. If you do decide its not for you then there are no fees to repay and no minimum contract periods (except for your notice period). My application is at the vetting stage but when I check today it shows .. Your application is currently going through pre-employment checks and has been referred for a decision..
How far away do you expect someone to commute for the POELT training and at what point specifically do you offer weekday accommodation (e.g. anything over x amount of miles or x amount of minutes away)? Please contact the prison you’ve applied to as this differs for each prison. Hello I am due to start my training on Monday but have just found out I am pregnant, would this mean that I would have to stop doing the training and start after baby or could I continue as I am? No, you can continue as you are however you won’t be able to undertake the ‘control and restraint’ (C&R) element of the POELT training, you’ll need to go back to college to complete this once you’ve given birth. Once you’re at your establishment after your POELT training you’ll be placed on restrictive duties until you’ve given birth as you need to complete the C & R element to take up full officer duties. Hi. These posts have been great to read while waiting for my start date which was confirmed yesterday! One question I've not seen ask is around mens hair styles. I currently have long hair which is all tied back. Is this acceptable for my new role or does the prison service require I cut to a certain length? No problem if so just wanted to know prior to training. One other question, are officers allowed to wear fitness watches while on shift? Fitbit style? Thanks again for all the previous replies. Yes, long hair is acceptable, we’d advise you to tie it back at times just from a health and safety point of view. In terms of fitness watches, please ask your POELT Mentor - they'll be able to help you. I was just wondering what happens at the end of the 12 week training programme, I have heard that there is some kind of 'passing out' .. Is this still the case? There used to be a formal ceremony but this doesn’t happen anymore. Some prisons have made local arrangements for officers who have just completed their POELT, but this isn’t the case for all prisons. If I was to take out a car contract would I receive any help from my allocated prison in terms of fuel? Please contact the prison you’ve applied to as they’ll be able to give you this information. Hi i have been given a training start date of 12/11/18 at Aylesbury, can you tell me the times we will attend. Great to hear you can’t wait to get started. This information you’ve asked for will be provided to you in due course, as part of your contract. However, the POELT course typically runs Monday to Friday. I've received a operational health questionnaire is this normal for all applicants? Yes, all candidates are given an occupational health questionnaire to ensure you’re fit for the job. Hi i’ve just been given my POELT start date in October but also have been offered to do 8weeks in my chosen prison as an OSG do you know if the role is fully payed as POELT training is and also do we get travel expenses to commute for POELT training ? Yes, you’ll be fully paid throughout your POELT training. For claiming expenses, please call the prison you’ve applied to as it differs for each establishment. I passed my RAD assessment, but due to the skill set of other applicants I m on a reserve list for the next position? I ve since seen a job advert this month for the prison I ve applied for? What would you suggest in this instance. I have been given a conditional offer as of yesterday, filled in my pre employment details...Proves that been on the list isn’t an hindrance. Hi, I'm currently waiting to do my RAD, but I'm concerned that if I pass it I will have to stay away from home. My question is, because I'm a single mum are there any facilities such as a nursery while I am doing my training? I’m afraid there is no nursery facility available during the Prison Officer Entry Level Training. The location of your training depends on availability. So, usually, if someone is placed at a training centre that’s far away from home and also offers accommodation, then they can stay on-site Monday to Friday. However, we always try to take your personal circumstances into consideration, so if you’re offered a position and when you’re booking your training, please ensure you let HMPPS know that you’d prefer to do your training whilst living at home. I attended my RAD on 30th Jan 2018 and the following day received an email that I passed (successful on both the adult and young person specific assessments) I completed an online health questionnaire the same day. On 1st June it will be exactly 4 months it will be exactly 4 months since I was notified I passed the RAD. Since then I have heard absolutely nothing. Please contact the SSCL Recruitment Centre on 0845 241 5358, they should be able to help you. I’m afraid we’re unable to advise on this, as your chances of becoming a prison officer relies entirely on your application. You’ll be assessed on things including (but not limited to) your online tests, your performance at the Recruitment Assessment Day and sufficient references. I’m afraid this won’t be transferable. We’re unable to use these external checks in place of the standard pre-employment checks that you need to undergo to become a prison officer. Is the uniform different for HMYOI then the HMP uniform? What stage do you order it and how? You can order your uniform once HMPPS have offered you a position as they’ll send you all the information you need to know including how to order your uniform. Hi, I know you have stated that there are many courses running across England and Wales but would you know if any courses run in the North West as I am from Liverpool and have some commitments at home that could pose an issue if I was to stay away mon-fri. Thank you so much for your answers they are all brilliant. I start my training in September and it is quite far from where I live. - I know I have read that accommodation is provided Mon-Fri and we can go home during the weekend. Are there any chances of being accommodated during the weekend ? I would not want to travel up and down every weekend, I would rather prefer to stay for the 10 weeks. Thank you !I am so excited ! Great to hear you are excited! You’ll get your uniform on your first day of your POELT training at the prison but I’m afraid you won’t be able to stay in the provided accommodation over the weekend. Another question that just came to my head, are we expected to have our uniforms ready for our starting day ? If so , how would this be done ? Could you please tell what age group would be preferable when applying, if any ? I've just had a confirmation email that I have passed my RAD. I was just wondering whats the normal timescale before hearing about any potential job offers and the vetting process. I'm sorry if this topic has already been answered and I've missed it in amongst all of the great answers and insights you folks have given me. I passed the RAD and was offered a conditional position subject to vetting, to which I accepted. Up until last week my portal page said "undergoing pre employment checks" and then that went and was replaced with "We shall be in contact with you shortly to let you know the next stage of the recruitment process." My question is this....Is it safe to assume that vetting has been cleared and now all I can do is await the call/email? Other people have said that if vetting had failed, then the portal page would contain a different update. Yes, please do continue to wait for an update on your application by keeping an eye on your emails and applicant portal. I've been offered a place at my chosen prison and my vetting started to take place last week. However, I have two holidays booked that are fully paid for. one of which is 9 weeks away and the other 15 weeks. Would anyone know what are the chances of my POELT starting before this and if so do they use any discretion or would I be expected to miss my holiday? We advise you do not agree to a start date that clashes with your holidays. Please also bear in mind that vetting can take around 12 weeks to complete anyway, so hopefully there won't be a clash. Ive read above that vetting can take 12 weeks is that still the case? Ive applied at HMP Bedford and I understand they are short staffed at the moment. I have my rad in 2 weeks. Im just curious on the 12 week on average for vetting to be completed? Also i have been sent a uniform document. At what stage do I fill this in? I assume after passing my RAD? Everything has happened so fast for me, I applied less than 2 weeks ago. Ive visited the prison and could of done the rad this week! So fingers crossed I pass, I am excited about the role. This forum is amazing also by the way. Lots of great questions and answers. Hi Lee - that's great news! Thanks a lot for your feedback as well. Please get back in touch with the prison you've applied to as we don't hold this information. Yes, you can claim back expenses but the process depends on each prison so please do ask them about this as well. Hi, I passed my Rad in May and have I am currently going through my vetting, It's will be 12 weeks on the 31st July so in a couple of days, my status says I am still undergoing higher level checks/ medical.... Should it take much longer? What's the longest I could be waiting for my vetting to complete? Hi, I have read that we are expected to work bank holidays. My question is does this also apply to Christmas and New year period. I live in Norwich and training starts at newbold in November (which is a serious commute : ) ). Thanks in advance. Yes it applies to all bank holidays as the role is operational and prisons need to be staffed even at Christmas. Hi i start my training in July and i have my brothers wedding in august is there a chance i can attend his wedding as im also best man, it is on a Monday he gets married. Hi, I start my training at Newbold in November and wondered if there is a gym onsite ? Yes there is a free gym at Newbold Revel which the trainees can use. HMPPS try to take everyone' situation into account when arranging their POELT centre locations but it is very dependent on availability. Also, not all POELT training centres offer accommodation, so you'd either have to commute or find your own accommodation. If this is difficult, please get back in touch with HMPPS to discuss your options on where to do your POELT. Hi, I’m currently 17, but turning 18 in January, I wondered if I could start the process now as the question asks ‘will you be 18 by the time you start?’, which I will be because I believe the list is 12 months? Thank you in advance. The list you mention is actually most likely the 'merit' list (or in other words, a waiting list) for jobs if a prison has been oversubscribed to. So, it's not guaranteed that it'd take 12 months before starting the job. However, the recruitment process can take around 9 months on average from start to finish, so if you're successful, there's still the possibility that you'd be 18 by the time the job starts. You would usually pick up your uniform on your first day of the job. Please continue to keep an eye out on your emails for any information. I wonder if you can help. I recently passed my RAD for belmarsh prison and have since been put on the merit list. I have also filled out the occupational health questionnaire. My online status hasn't changed at all thoughout the process it just says 'update' online. My question is what part of the application process am I currently at? And is there a way to know how long I will be on the merit list for? Or does it mean that because I've been sent to OH questionnaire it will be sooner rather than later that I might be offered a vacancy? Is there someone I can email or talk to to discuss this further? There is no way to know how long you'll be on the merit list for as it depends on when a vacancy arises at the prison you've applied to. But you'll be on it for a maximum of 12 months, as per the blog post. Everyone is asked to fill out the OH questionnaire just to ensure that you're fit enough for the role. Hi I've recently completed vetting and now my application says I've received a verbal offer and need to respond, however I haven't actually spoken with anyone, and I am concerned this may be time limited? I have tried phoning numerous times on a number i reveived in an email but nobody is getting back to me. Is it usual for there to be a delay? Is there anyone else I can try? I'm aware the next step is to get a start date for POELT so could a lack of places cause a delay? Sorry to hear that - have you tried phoning the prison you've applied to directly? If not, please do so and ask for the People Hub. I recently passed an assessment day was told I would receive an email from Oh assist fairly quickly. I've now been waiting about two weeks for it, when it was implied I would receive one almost straight away. Can you give me any information on how long it will usually take for someone to receive one of the these email. As it has been emphasized that its important I send it back quickly. I'm afraid we don't have any information on how long it'll take, but please don't worry - as soon as you receive the form please send it back as soon as you can to avoid delays with your application. what personal equipment are prison officers issued with to protect and restrain ? does it vary from prison to prison or category? I'm waiting to start training for a job at hmp ranby but I am a little cautious not knowing this info. Thanks for your query this information will be provided to you at your POELT. If you’ve got any questions or worries please talk to your POELT mentor once you’ve been assigned one. Who else is on the November POELT course at Newbold ? When a vacancy comes up, do people on the merit list take priority over new applicants? Yes, once the campaign is closed and all candidates have done their assessments, people on the merit list will take priority when a new vacancy comes up. New applicants won’t be able to apply for those vacancies until the campaign is re-launched in the future. I’m wondering how do you apply to do the POELT training, I have just recently turned 18. My question is when doing the residential part are you able to take anyone with you. I.e your wife. No, I’m afraid you won’t be able to bring anyone to POELT with you. I was offered a place at HMP Hewell after being informed that I did not meet the residency criteria for HMP Long Lartin. I accepted the offer of re-allocation to HMP Hewell and my vetting has since been successfully completed. I had thought that an offer of a start date for employment would follow my successful vetting. However, I was informed that I had been placed on the merit list for 12 months at HMP Hewell as there are no vacancies currently. Shouldn’t an offer of employment follow successful vetting? Are candidates on the merit list automatically selected when there are new vacancies? An offer of employment all depends on whether there are vacancies at that particular prison. If there are no vacancies at the time, you’ll be put on the merit list and contacted as soon as a vacancy comes up within 12 months. I passed my RAD 8 weeks ago and received an email saying I had passed but I haven’t received anymore communication from them? I’m really confused does the vetting start immediately after that? Please call the SSCL recruitment centre on 0845 241 5358 as they’ll be able to help you with your question. This is a job I have always had in my mind that i would love to do, but I have no idea how to go about starting? I've read through the blogs and its just made me want to start more! Im not sure if its just me being thick here or not. I have looked through the available jobs to but there is nothing really by me right now either? Just wanting a bit of advice really, their are a few prisons near by me so would be great to work in one of them, can i just apply to go there or am I to wait for them to put up vacancys? Great to hear you’re interested in becoming a prison officer! You’ll need to wait until a vacancy comes up to the prison you’d like to apply for and then go through the assessment process. Is there POELT training centre in Birmingham? Hi, I am just about to complete my POELT course in Birmingham. I know the Scottish Prison service is run separately, does this mean that transferring to a prison in Scotland to work is more difficult or not possible? How would this work for someone interested in doing so in the future? As HMPPS only operate in England and Wales, I’m afraid you wouldn’t be able to transfer to a Scottish prison. Although having experience in a HMP may provide you with good experience when applying for a role in the Scottish Prison Service. I’m due to start my first week in the prison before the 10 weeks training in Newbold. I have emailed the prison to ask if I need a uniform for the first week or if I should attend my introduction week in formal wear. I’ve had no response as of yet but hope you can perhaps shed some light on that for me. I was just wondering if there are any restrictions on prison officers wearing orthodontic braces. No, we don’t have restrictions on orthodontic braces. is there any POELT training centres near east London? Hello there. I am considering leaving the army for a prison officer job as my skills will be easily transferred to this role. My questions are, what are the shift rosters like is it a 4 day on 4 day off type thing? If so. Is there oppertunity to live on site during my shift periods and go home on my days off? Thanks. You can read more about shift patterns here - https://prisonandprobationjobs.gov.uk/prison-officer/life-as-a-prison-officer/. Depending on your location, personal situation and where you’ll be invited to take your POELT, you may be given accommodation to do your training. However, once you start the job we don’t provide accommodation. I am shortly beginning my POELT training at Newbold Revel and was just wondering about uniform. Are we able to collect this early before our start date in case of it not fitting correctly? We’ve answered a similar question here regarding picking up your uniform - https://prisonjobs.blog.gov.uk/2017/12/13/an-introduction-to-poelt-prison-officer-entry-level-training/#comment-701. You can discuss the uniform size when you come to pick it up with your mentor at the prison. I recently passed my RAD and have been placed on a Merit list, although the prison I have applies for (HMP Highdown) is screaming out for staff, I know this as I work for an external contractor with custodies. Is the merit list basically waiting for all the applicants RAD to finish then get appointed? Any help would be great! Thanks in advance. since it's 5 months away till my starting date, when do i give the prison service my p45 from my current employement? Hi I start my training in October and see the last two weeks are over Christmas how does this effect training? Usually POELT does not take place over the Christmas period. Your prison will let you know if this is the case and what arrangements will be in place. I completed my retake of the fitness test yesterday and passed. I am just trying to get a rough idea when I could potentially start my POELT. I know the vetting process takes on average 12 weeks, working on it would mean the training course dates would run over Christmas and New Year. I know that as an officer we are expected to work bank holidays including Christmas and New Year but I wondered if training will be on those days? I start POELT 17th September 2018 and have filled in and posted my uniform order. Do you know when and how we receive it? Do we pick it up or is it delivered? Only got 7 weeks to go! Hi, I have received a provisional offer for my selected prison and have been going through the betting process for 13 weeks now. The status of my vetting hasn’t changed from pre employment checks for the entire time and I’m a bit concerned about how long it is taking as I’ve been told it should only take 12 weeks. I have contacted sscl but they have said they cannot tel me anything apart from that my vetting is in progress. Are you able to tell me how much longer it’s likely to take or how many more steps there are left once that bit is completed? I’m sorry to hear your vetting is taking so long. Common reasons why vetting may take longer is having provided incorrect documentation or if you’ve had a break in your employment history, as the Vetting team would then have to look into this further and confirm details. The blog post provides more information on common causes for delays in vetting. Hi, where would the nearest POELT be for Cardiff Prison? (South Wales). Thanks. I had passed my RAD in April and have linked my Result to 4 applications. i recently recieved an email for an on-boarding portal which was linked to Wandsworth prison, which my application is linked to. my question is, does this mean i should anticipate an offer from that facility? kindly send me the link for the onboarding portal as i cant find the email anymore. As blog moderator, I don’t have access to the on-boarding portal so I wouldn’t be able to send you across the link. Please can you call the recruitment contact centre on 0845 241 5358 to see if they have a record of sending this email to you. There will be a mixture of practical and written exercises throughout the training. But there won't be further 'tests' like the fitness test at the RAD. Just curious on when the probation period starts. Is it at the start of the POELT or at the end of it? Your probation starts on your first day at the prison, so before your POELT. I am currently in my third week of vetting and was wondering if I still have a 12 month time gap to be appointed a job or if this means I will be guaranteed a job if successful after vetting? I am starting my training in October. In regards to uniform, do we get this on our first day of training or is it delivered to us? Hi, I'm waiting for my start date for the Poelt training. However do they carry them over Christmas? As I am a bridesmaid for a wedding the 28th? Also does your year probation start from your first day of training, or after you have completed the training? Probation lasts for 12 months and will begin the first day at your prison. if you work in a high priority prison such as pentonville, you receive an allowance of £3,000, my question is, when do you receive that allowance? The additional allowances are paid in monthly instalments as part of your monthly salary. Do I need to get any vaccinations for this job? No you won’t need to get vaccinations before you start your role as you’ll receive these during your time with HMPPS. I have received my contract and polet course start date ! They have sent uniform order forms they are so confusing with all measurements ect is there a guide of how and where to measure as it’s crazy ! Sorry to hear you find the uniform form confusing, I'll feed this back to the appropriate team as we're always looking to improve the process. Once you’ve been provided with a POELT mentor please speak to them about uniform as they’ll be able to help you. This means that the Vetting Team is still going through your application. Hello, early stages of the application but was just curious of a couple of things? If successful at a RAD day, would i still need to go through the vetting process if i currently held a high level of security clearance through previous work? Once successful at a RAD day how long is the RAD completion valid for? Yes, you’ll still need to go through our security clearance and pre-employment checks as we’re not able to use any previous checks. Make sure you still provide details of your security clearance on the pre-employment on-boarding forms so the team is aware. Please refer to the above blog post to answer your other questions on security clearance and how long the RAD certification lasts for. From the information you’ve provided it appears you’re still undergoing vetting. If you do not receive an update on your vetting after 6 weeks please get in touch with the PORRP Team - PORRP-VAT@noms.gsi.gov.uk. Her Majesty's Prison and Probation Service (HMPPS)'s POELT centres are across England and Wales only, as the Scottish Prison Service is run separately. If I start my POELT on 12th Nov, will I receive my first salary at the end of this month? Please can you call the prison you’ve applied to and speak to the People Hub as they should be able to help with your question. What should I wear on my first day at my prison, before I get my uniform, smart casual ok? I have my training booked in, I will be on a residential for the 10 weeks. Could you please tell me whether I have to pay to stay at the accomodation? And also if I still receive my full pay for the month? Likewise, will i have to travel to and from the facilities on a Sunday night/Friday night off my own accord or is travel back home arranged with it being so far away? Thanks for your query. You don’t need to pay for your residential accommodation. In fact, it’s quite the opposite as you’ll be paid the full standard prison officer salary whilst you undergo your training. However, you’re back at home for the weekends. Please refer to the prison you’ve applied to, to find out if you’re able to claim expenses for travel as each prison differs. I have today, taken my online test's and awaiting the results. My question is with regard to any existing tattoo policies for such a role, are there any? I am unable to find any relevant information online. I start my POELT in November, will I be training over Christmas as I appreciate that prisons run 24hrs? Does the POELT include physical training? Can you please clarify a bit more on what you mean by physical training? The POELT does include physical elements such as how to be trained safely in Control and Restraint techniques, as an example. I'm currently in vetting at the moment and i'm not sure when i'll be starting my POELT but i was wondering what happens if i have any holidays booked that might be around the same time as my POELT? Would i be bale to have the time off or would i need to re-arrange the dates? Hi. How does working part time work? I currently attend college 3 days a week. If i was able to arrange getting some time off from my college would i be able to go onto part time hours after finishing POELT? Working part time all depends on the prison you apply to. Most prisons will consider part-time working. However, the actual POELT itself will need to be completed on a full time basis. If part-time working is approved by your prison this would mean working a full range of shifts, including nights and weekends. I’d encourage you to ring the prison you’ve applied to, or wanting to apply to, and speak to the recruitment advisor there as they’ll be able to help you. I have recently been going through the vetting process of my application and have logged into the portal and the status of my application has changed to 'complete'. how long after this development does it take to get 'the call' with a verbal offer? You should receive a phone call very soon, it takes a maximum of 10 days. I’m starting my training in Newbold in March 2019 and will be residential. Do you share rooms? I believe you get your own room but if you're not sure, please speak with your mentor who you’ll meet during your first week on the job at your prison as they’ll be able to help you. I am an OSG and have been offered a prison officer role at a different prison, the current state of affairs on my application centre states something across the lines of; ' as per our recent conversation we are happy to offer you a verbal offer', as i have been vetted previously as an OSG -my vetting was only completed as an OSG about a month ago-, will i need to be vetted again. Also whats the next step after my application states they are happy to extend a verbal offer. It depends - if you’ve applied to either a youth custody prison or a high security prison, then you’ll require a higher level of vetting. The next step will involve HMPPS getting in touch with you with a start date to begin your POELT. You can read more about what to except at POELT on the blog post above. When carrying out POELT training will arangments be made for religious requirments such as praying, including friday prayers. Hi, please check with your POELT training centre for specific details as I'm afraid we don't hold that information. I am just wondering if all the POELT training times are the same or does it depend on the prison you are doing your training at? POELT courses and exact timings depend on the prison and training centre, so timings may vary but it is typically Monday to Friday and during the day. I have been offered employment as a prison officer. Due to the availability for POELT training I am have to wait until March. However, I have been offered an OSG place for 8 weeks within the prison I had applied for until my POELT training can take place. I accepted this offering as I think it is a great opportunity to get to know the prison prior to training. I have a concern, I have received my uniform order and there are two descriptions: Discipline Officer and OSG standard. Do prison officers and OSGs wear the same uniform? Which uniform should I be ordering? Please order the OSG uniform, the prison officer uniform is very similar but there are some subtle differences. I start my training at Newbold Revel in February 2019. What are the chances of me getting closer to home for training? I live nearly 4 hours away and have a toddler. I appreciate it's residential however I am calling you try and get closer to home. Also I will finish training at the end of April however have a holiday booked for May which I did advise of when I was given my verbal offer. Is it OK to take holidays so soon after finishing your training? I will have only been 'live' for a week then will have a week away. I've looked through the blog post but can't find my answers. As mentioned in the blog and blog comments previously, HMPPS place people at training centres based on availability. We do try to take into consideration your location and personal situation but unfortunately we have to place people where there are available training vacancies. If your allocated training really does not work for you, please phone up the recruitment team at your prison to discuss as it may be that you have to postpone your training until a centre closer to home comes up. Yes, as long as you've informed your prison about any pre-booked holidays prior to you starting then this should be fine. But, if in doubt please speak to the prison. Hello, ive just recieved my uniform form through the post. There are two descriptions, one is a OSG Standard and the other is Discipline Officer, which one do i tick? The role i applied for was Prison Officer. Hi - please tick the Discipline Officer. OSG stands for Operational Support Grade and it's a separate job to the prison officer role.